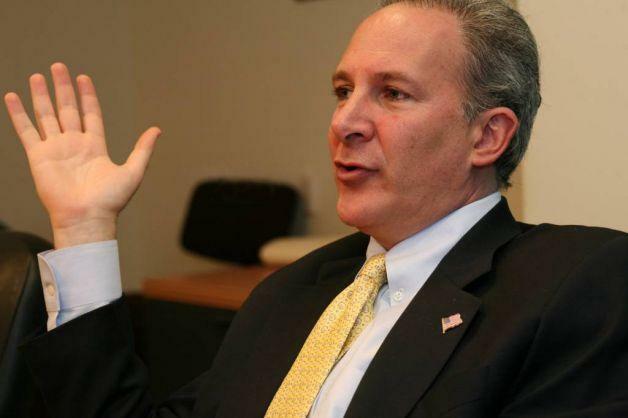 Peter Schiff is an economist who served as an advisor to Ron Paul in 2008 and even made a run for Senate on his own at one point. He’s well-known in the "Austrian" as well as the libertarian economic community, but is perhaps best known for his belief that our next coming crisis is going to be "an order of magnitude larger than the crisis in 2008", only this one, the Federal Reserve is not going to be able to print their way out of, Schiff predicts in his most recent interview. "What the Fed is worried about is a repeat of the 2008 financial crisis. What they don't realize is the next crisis is not going to look like the 2008 crisis," Schiff said. He makes the why the dollar going up in 2008 helped the Fed bail everyone out, and why it's going to be impossible for the Fed to do the same thing when the dollar collapses during the next recession. Schiff also explains that a loss of confidence in the dollar as the world's reserve currency could see interest rates move much higher, resulting in the U.S. defaulting on its debt. Despite getting the 2008 housing crisis right, Schiff's appearances in the mainstream financial media have declined precipitously due to his bearish outlook. As an alternative, he has created a substantial voice for himself on his YouTube channel, which boasts hundreds of thousands of subscribers. "It's a total double standard because it shows you their way of thinking. If you look at all of these experts that were completely wrong now that we're 10 years from the financial crisis...by 2007, the bubble had burst...even after it was so completely obvious. I was predicting it. They didn't figure it out until everything imploded..."
"I was going on television in mid 2008 saying 'we're in recession' and they were saying 'you're crazy, there's no recession in sight...'"
In the podcast, Schiff also talks how Keynesian and Austrian economic theory differ, how inflation has an effect on the middle class, the politics of Trump's economic policy, and the recent volatility in tech stocks and tons more. Peter's YouTube channel can be found here, meanwhile for those looking for some of the best alternative podcasts around, check out QTR's work at the following link.